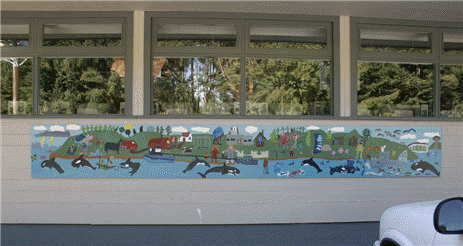 Students at the Galiano Island Community School brightened and added distinction to their school when they designed and painted three murals under the supervision and direction of Stan Phelps. 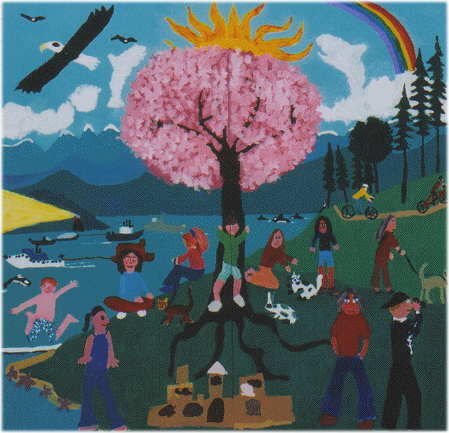 The older classes designed and painted this 8' x 24' mural depicting the many activities they enjoy in their west coast island environment. Even the parking area is enhanced by a joyful mural executed by the very young children. 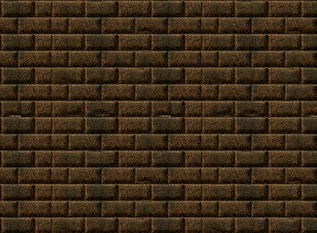 Click here to return to MuralAct home page.